Cheesecake lovers, this one's for you. This Strawberry cheesecake is the one you can order for yourself or have it delivered to anyone for any occasion. 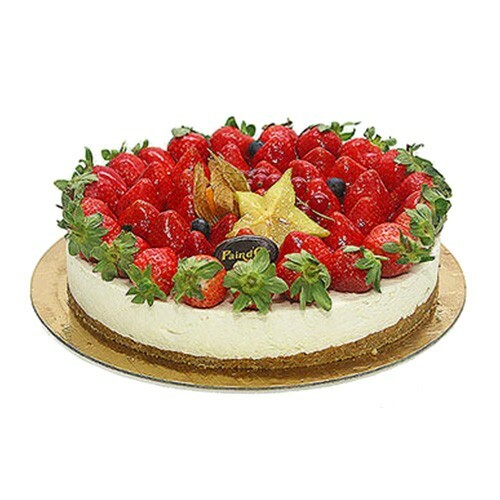 This cheesecake does not only have a strawberry flavored topping, but is also richly covered with fresh strawberries. Order this cake and have it delivered to anyone anywhere in Lebanon.